Michelangelo’s beautiful Pietà, a marble sculpture of the Virgin Mary with the dead body of Jesus lying across her knees, was damaged by a man wielding a hammer on this day in 1972 in Rome. 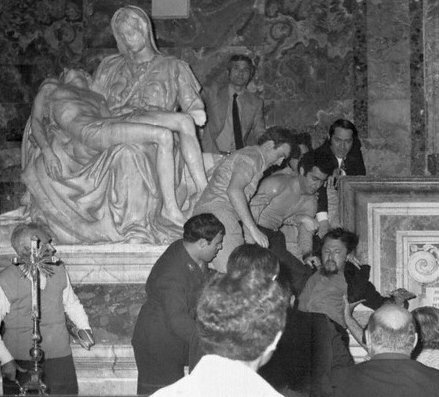 A mentally disturbed man walked into St Peter’s Basilica and attacked the sculpture in an act of deliberate vandalism. He struck it 15 times, removing Mary’s arm at the elbow, knocking off a chunk of her nose and chipping one of her eyelids. Some of the pieces of marble that flew off were taken by some of the people who were in the church at the time and Mary’s nose had to be reconstructed from a block cut out of her back. The man who carried out the attack was said to be suffering from a delusion that he was Jesus Christ risen from the dead. He was not charged with any crime but spent two years in a psychiatric hospital. After the restoration work was completed the sculpture was returned to its place in St Peter’s, just to the right of the entrance, and it is now protected by a bulletproof acrylic glass panel. Michelangelo carved this sculpture from a single piece of Carrara marble in 1499 when he was only 24 and it is the only work he ever signed. 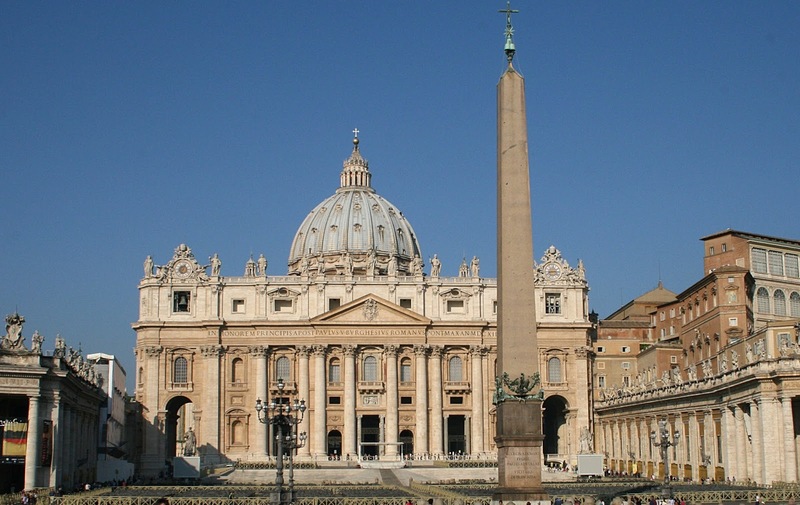 St Peter’s Square, Piazza San Pietro, was designed by Bernini to provide a large space where the faithful, from all over the world, could gather together. It is filled to capacity by pilgrims and visitors on Easter Sunday, Christmas Day and other important religious occasions when the Pope appears to address the crowd. These events are televised and watched by viewers all over the world. 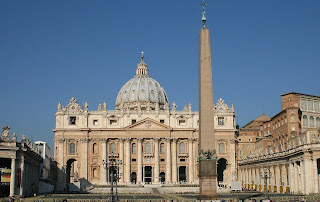 The stunning Renaissance Basilica of St Peter was completed and consecrated in 1626. Believed to be the largest church in the world, it was built to replace the original fourth century Basilica that had been constructed on what was believed to be the burial site of Saint Peter.